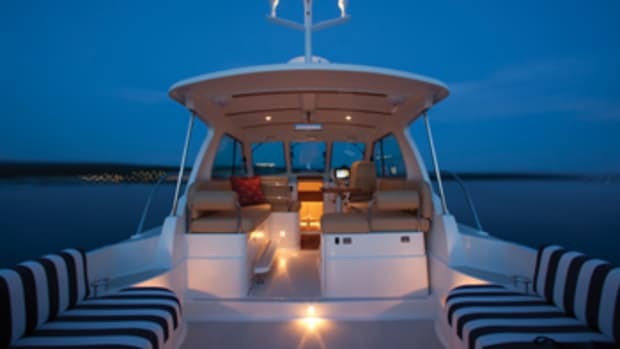 Princess Yachts is perhaps best known for high-performance express yachts and sleek flybridge motoryachts. 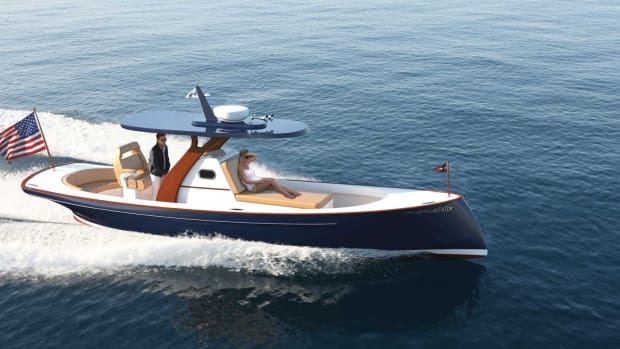 The British builder has broken that mold with the R35, a high-performance, high-tech, foiling sports yacht. 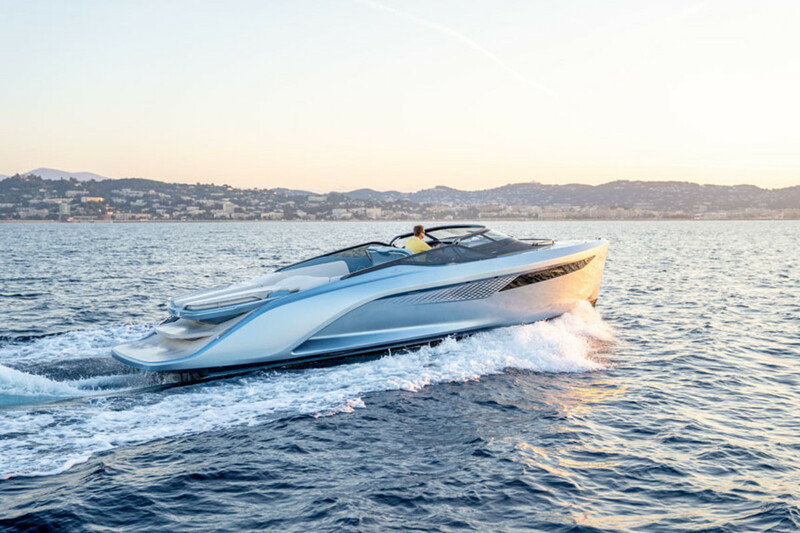 Launched at the Cannes Yachting Festival in France, it’s the first in what is planned as a range of speedy, plush sportboats. 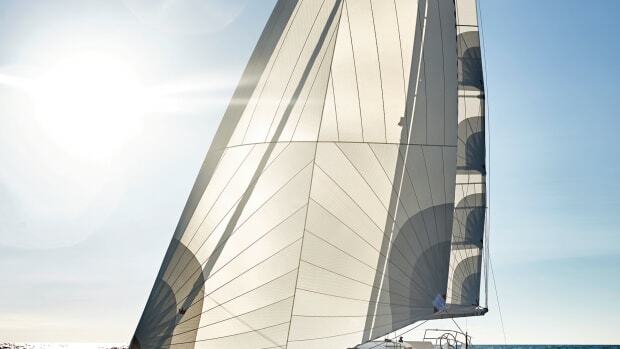 Most notable is the R35’s Active Foil System, which includes a pair of adjustable foils below the waterline. 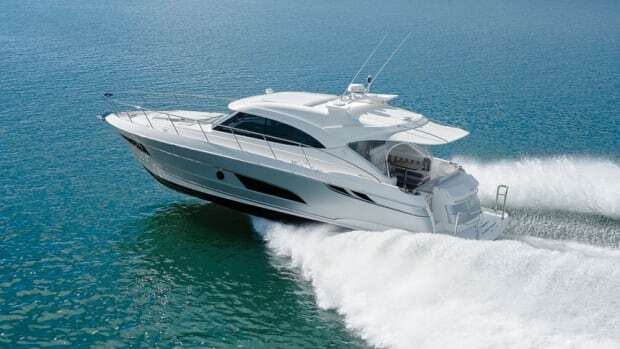 The computer-controlled foils are not capable of lifting the boat free of the water, but Princess says the R35’s system improves turning performance, stability and seakeeping while reducing drag as much as 30 percent. 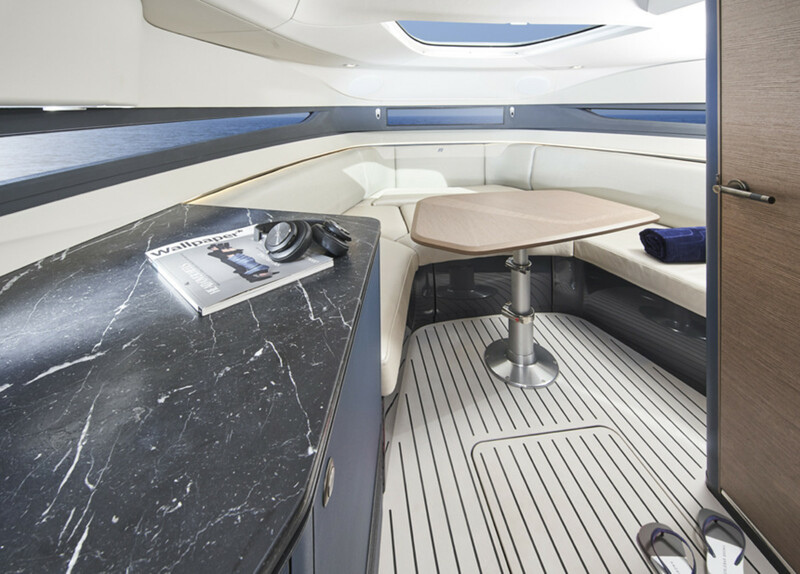 The monocoque carbon-fiber hull and deck were designed in collaboration with Italian design house Pininfarina, which is known for supercar design. The R35 has a sporty, aggressive stance with curves that spill into the cockpit, where a U-shaped lounge is ready for family and guests. Farther forward, a two-person bench faces a one-piece, curved windshield. 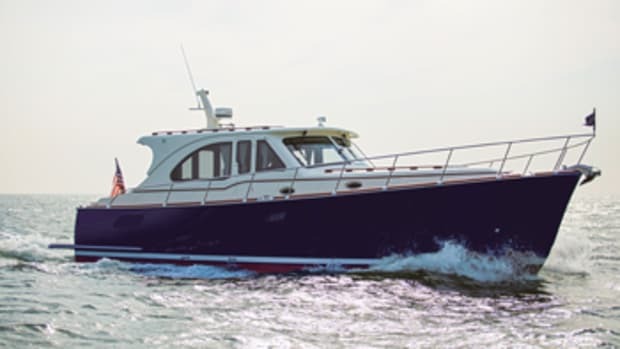 To port is a companionway that leads to the cabin with a convertible berth, enclosed head and galley. 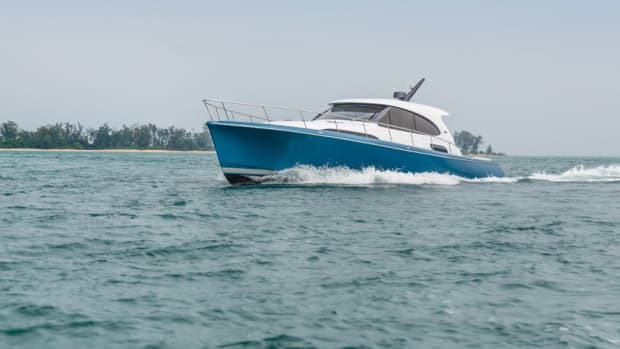 A pair of 430-hp Volvo Penta gasoline inboards with custom CNC intakes and exhaust ports push the R35 to a top speed of 50 knots, according to Princess. 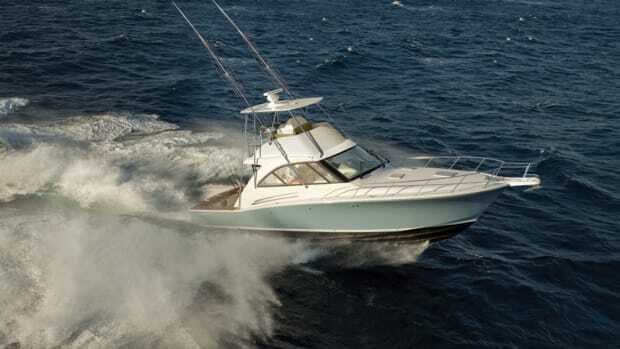 The builder also says the R35 is the fastest boat it has ever built. 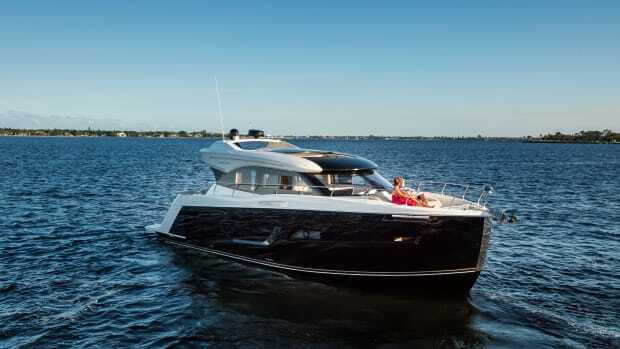 Moores Yachts launches the M30, a curvaceous center console with traditional lines and high-tech construction.